Family Budget: How Often Should You Update Your Budget? You are here: Home / Personal Finance / Budgeting / How Often Should You Update Your Personal Budget? How Often Should You Update Your Personal Budget? How often does your family update your budget? Do you do it daily? Weekly? Monthly? Less often? Recently I had the chance to talk with quite a few people about their budget and I was shocked at how little they were actually updating them. So that got me wondering. 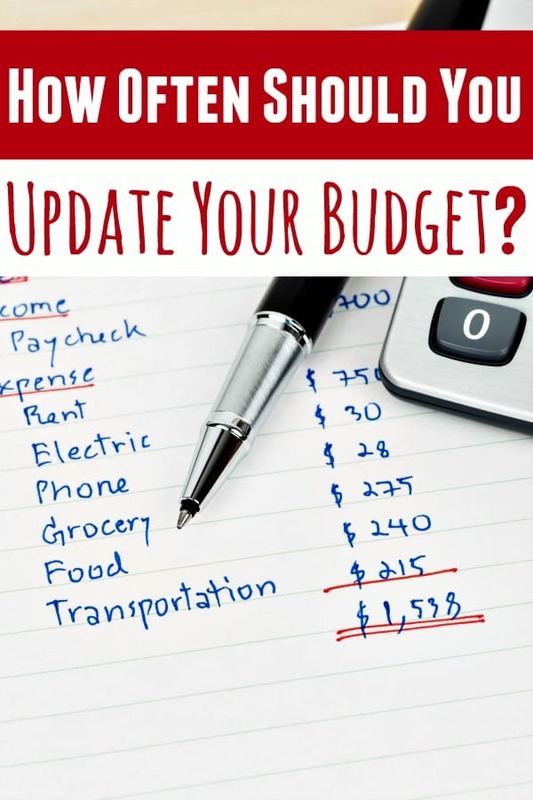 How often do you update your budget and? How often should you update your family budget? First I should be clear what I mean by update for the purposes of this post. When I say update your family budget in this post, I mean only your list of expenses and/or income. Tracking your expenses is something else entirely and the short answer is that you should be doing that daily or at the very least, a couple of times each week. For this post though, we’re talking only about your budget categories. Budgets are easy to forget about honestly. We get busy with life, stress happens, we add new expenses and we end old ones but we often forget to update those things in our budget. I call that budget blindness. Basically budget blindness happens when we’re “blind” to new expenses (aka we forgot to add something to our budget) or when we continue to budget for an expense that we no longer need or have. The reason that is an issue should be obvious. No matter which one you forgot to do, it will cost you money and sometimes that cost can be quite high. Forget to add a new expense? What happens when it charges and your checking account doesn’t have enough money in it? Forget to stop paying for something you no longer need? How much money will you waste before you finally stop paying for it? In other (much shorter) words, updating your family budget is so much more important than most people realize. It can literally make or break your family budget and can even destroy your financial future. So how often should you update? There isn’t a quick answer to that. How often you need to update will depend on your family and how often you get paid. 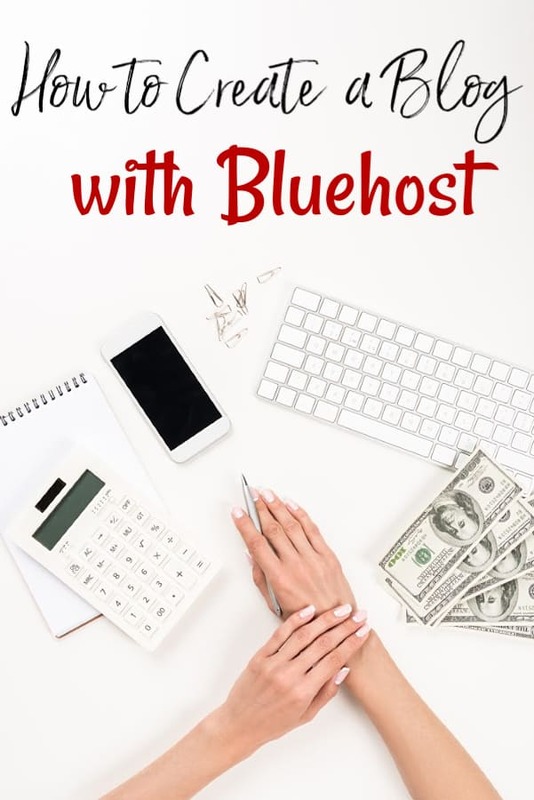 Ideally, you don’t want to go more than 3 or 4 paychecks without taking a look at the things you’re paying for (or not paying for) and without looking for new ways to save money on the expenses that you currently have. This means that if you’re paid weekly, you (ideally) should be taking a look at your budget categories a minimum of once a month. For my family, since I am paid once a month in most cases, I update mine once a month as well. I could go longer than that, but I feel like going 3-4 months in between would only serve to spell danger for my family budget. So how do I update things? First I sit down with my budget book and total up my income. Because my income comes from several different places, I go through the list of places that I get paid from and remove any that I am no longer working with. If I’m not going to be getting paid by them any longer, I have no need for them to be listed in my budget anymore. Once that is done, I then go category by category and look them over with a fine tooth comb. If something is there that doesn’t need to be, it gets removed. For instance, we don’t buy clothing very often since I’ve gotten to be quite good at stockpiling clothing to save money, so I don’t see a need to have a monthly clothing budget. Instead, I add it to my budget only when Emma or I need to buy clothing or shoes. The following month, it gets removed since it will be a few months before I have to really worry about it again. Once I’ve removed the things that no longer need to be there, I take a look at what does need to be but isn’t. These are the expenses that can really get you into trouble since if you miss them? You could very easily overdraft your checking accounts, spend more than you realize or worse. Be absolutely certain that you have accounted for each expense and that you’ve made any of them that can be, a fixed expense. Why a fixed expense? If your plan for an amount slightly above what the actual amount is, you will always be covered. So when my water bill is $46.57, I round that up to $47.00. I know that I’m covered and the few cents that is left over is simply added as a small credit. Once you’ve done all of that? You’ve got a spiffy new family budget that works for you and your family. By keeping things up to date, you will eliminate any oops moments financially. You’re not free to work on cutting your expenses and building your savings accounts. You’ll have to decide for yourself what the appropriate timeline to update for your family is. Base it on how often your receive your paycheck, base it on your monthly expenses and keep it to a time period that you are comfortable with. Whatever you do though, don’t forget to do it.